Ivacy is a VPN that makes a solid first impression, but has its fair share of drawbacks in the long run. This Singaporean VPN veteran has wisely used its over a decade-long experience in the field to deliver a product that covers a lot of ground. You get over 270 servers serving various purposes, from P2P and content unblocking to gaming and high-speed streaming. Every VPN protocol is supported, which means you can use anything from OpenVPN to PPTP, if you so desire. However, it’s worth noting that the OpenVPN locations are rather limited in comparison to other protocols. 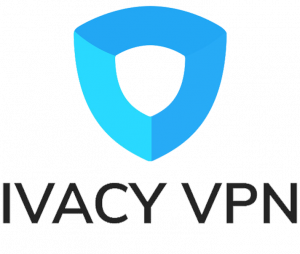 As for your safe and anonymous sessions, you can’t spell “privacy” without Ivacy — in other words, this VPN has a legit zero-logging policy and only stores your email address for billing purposes. You’ll also find some great quality-of-life and security-oriented features, including split tunneling, IPv6 leak protection, and a kill switch.. Despite the decent server network and the presence of specialized streaming/unblocking options, Ivacy is a letdown when it comes to speed. If we had one word to describe this VPN’s performance, it would be “inconsistent”. More on that in the Speed section. Another big issue is related to refunds — Ivacy’s track record here is far from spotless. Users have often complained about the sluggish, overly difficult process of getting a refund. Even though there is a 7-day money-back guarantee (as well as a clear policy on when you’re eligible for one), things are wildly different in practice. The above problems, coupled with the fact that Ivacy isn’t the cheapest VPN around, make it a well-designed, well-equipped VPN — but not one without its drawbacks. As we mentioned, Ivacy wins no awards for its speeds. Although it unblocks various Netflix localizations, as well as BBC iPlayer, there are buffering problems in addition to frequent connection drops. In short, streaming on this VPN may prove to be a frustrating endeavor for many, due to inconsistency. Ivacy has 275+ servers across 100+ locations in over 50 countries. Ivacy has a bunch of intuitive clients for its supported platforms. Downloading and installing the VPN is a breeze. If you run into any issues, there are detailed setup guides on Ivacy’s website. The client itself is different from OS to OS. While the interface is consistently great and user-friendly, you may notice the lack of certain features on MacOS or iOS — namely, there is no kill switch or split tunneling. The Quick-Connect feature works like auto-connect. Alternatively, you can select an automatic protocol or choose your own — you can also connect to any available country and even find the best match for your need, be it torrenting, streaming, unblocking, or something else entirely. Ivacy has recently introduced a new iOS client, featuring one-click VPN connection, purpose selection, and an in-built support center, among other goodies. Ivacy isn’t strapped for options when it comes to making contact. You can choose between tickets, emails, and 24/7 live chat. If you happen to be in Singapore, Ivacy even encourages you to visit them on-site — we don’t know how practical this is, but kudos for offering a warm welcome! Response times are fast, but in our experience some questions were better answered than others. We noticed some reluctance with addressing our refund request, and we never really got a clear answer. Aside from direct contact, there is a detailed “offline” support section, complete with tutorials, FAQs, and troubleshooting guides. Ivacy offers monthly, yearly, and two-year plans. It also tries to upsell the latter two — while this is common practice, the unfortunate result is that a monthly subscription is going to cost you a pretty penny. On the upside, you can save up to 83% with a long-term plan. If you’re looking to test out Ivacy and get refunded, you technically have a one-week window with the money-back guarantee. However, we already mentioned the arduous refund process, so make sure you meet the criteria and be prepared for some back-and-forth with customer support. Ivacy remains a great VPN for the privacy-minded. But at this price point, we as users expect better overall performance, especially for torrenting and streaming.